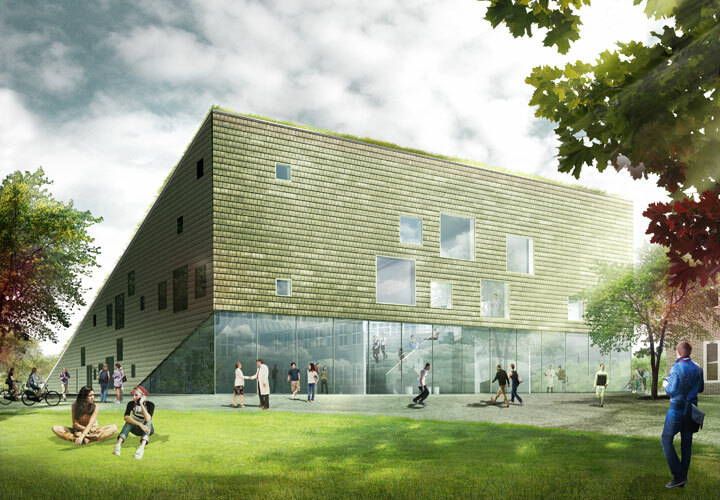 This new building for science courses is based on a formal concept that aims at merging educational building, learning environment and teaching resources into one interacting whole. 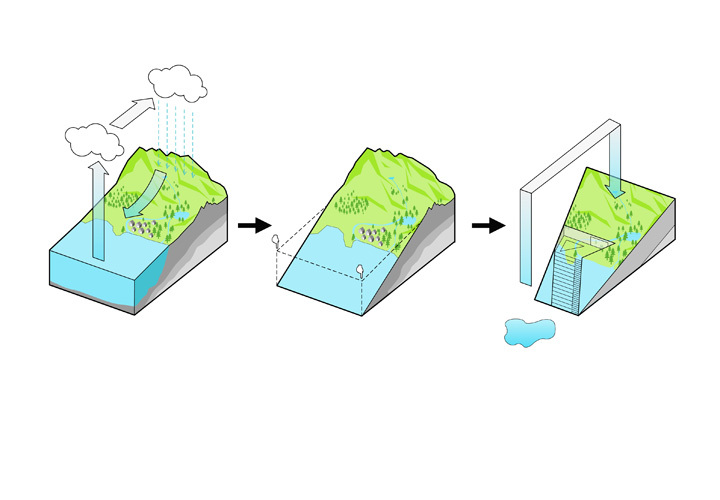 By means of form and materiality the building volume therefore appears as a physical image of the biosphere’s water cycle. 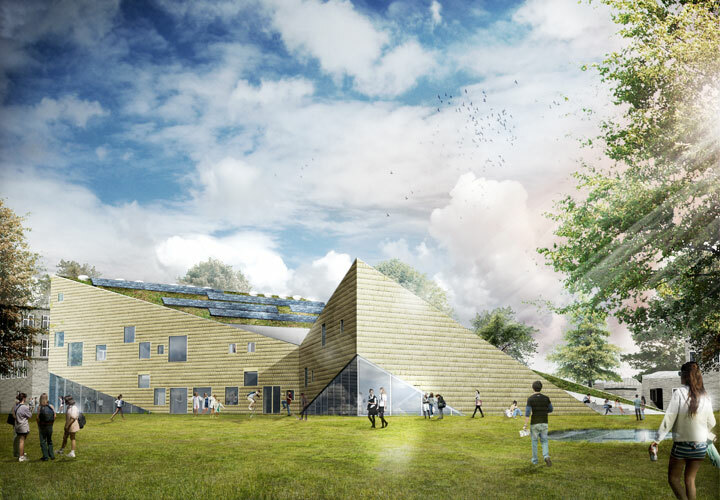 The choice of materials links the narrative and the existing facilities by cladding the facades with the natural materials of the earth’s crust: The yellow brick tiles illustrate the stratum layers beneath the topsoil. 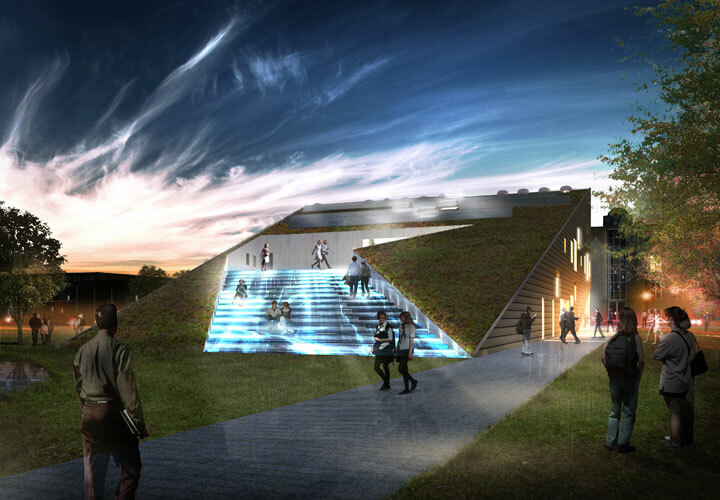 The roof carries on the area’s horizontal grass planes and forms a green elevated surface that is divided by an LED-lit amphitheatrical staircase. The stairs form an aesthetic element, which functions both as a graphical surface and as screen for communicating visualised information. The internal organisation consists of two general types of functions: the clearly defined, specialised technical and theory classrooms on the one side and the open, cross-curricular common rooms on the other. 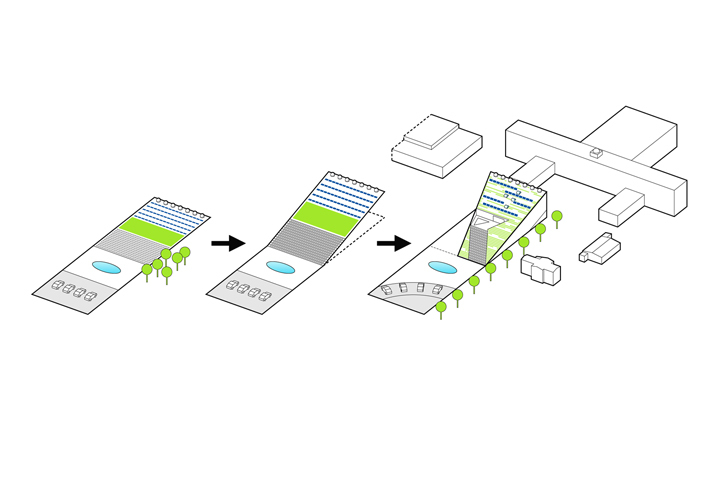 Our proposal lays out the central common space not only as setting for social gatherings, but equally important as an essential learning environment in connection with and as supplement to the other functions. By superimposing the facetted common area onto itself the project provides a series of shifting levels, single-, double- and triple-height spatialities with varying scales and daylight intensities. 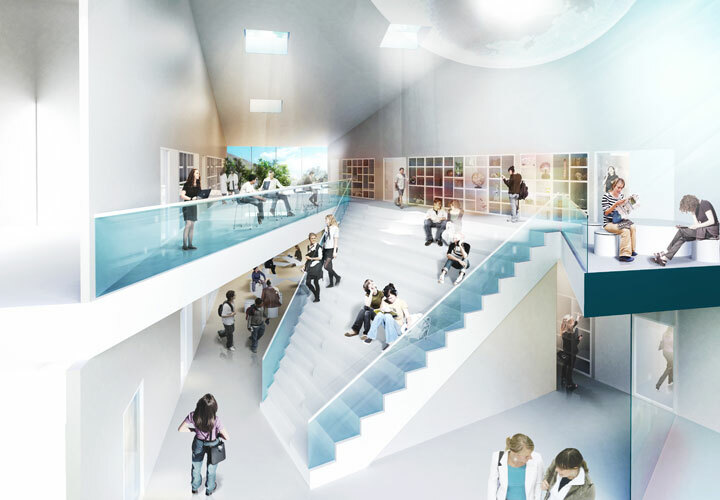 In addition, the central “thinking staircase” divides the common area into smaller zones, which accommodate a varied and flexible use.